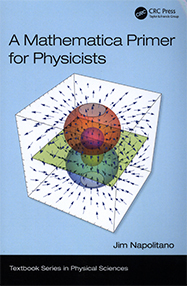 Learn how to use Mathematica quickly for basic problems in physics. The author introduces all the key techniques and then shows how they are applied using common examples. Chapters cover elementary mathematics concepts, differential and integral calculus, differential equations, vectors and matrices, data analysis, random number generation, animation, and visualization.